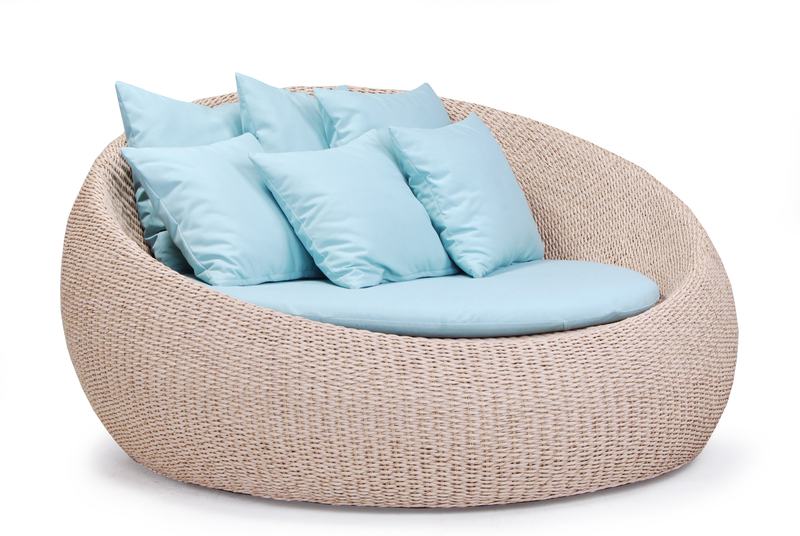 This daybed is available in sizes from stylish club chair to XXL for the family. 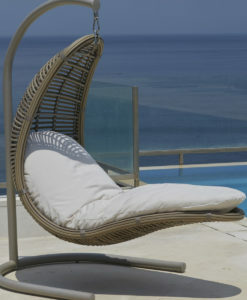 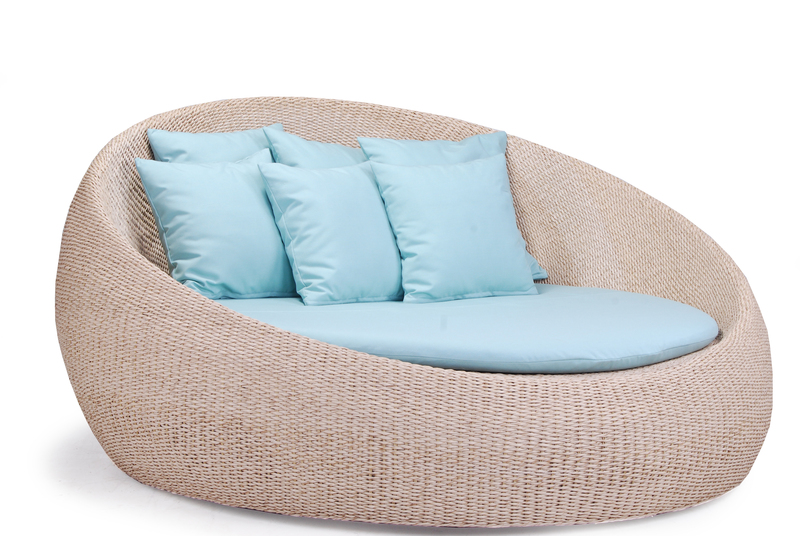 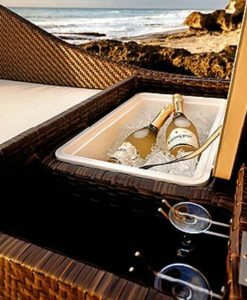 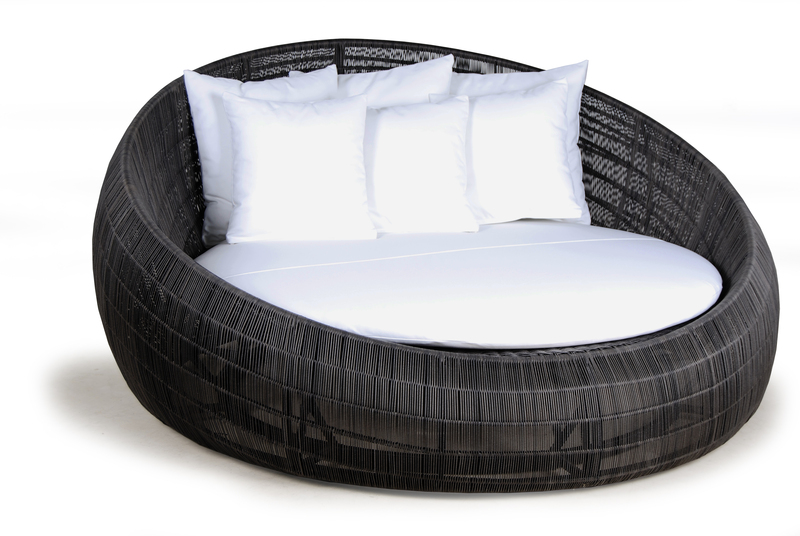 Elana Rattan Wicker Banana Leaf Love Seat & Daybed Stellar. 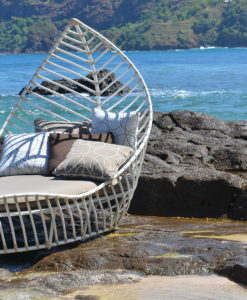 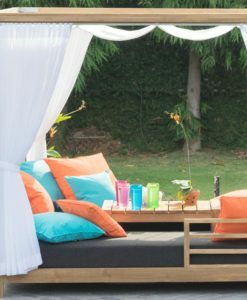 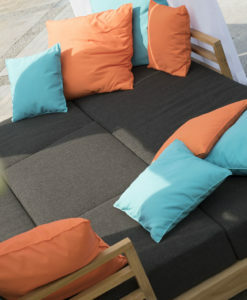 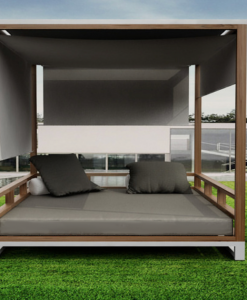 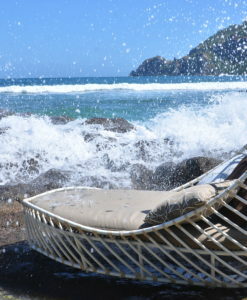 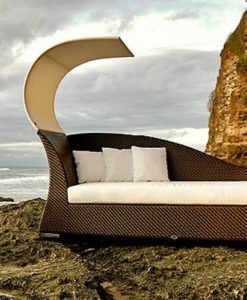 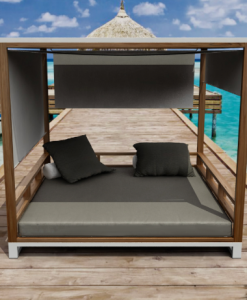 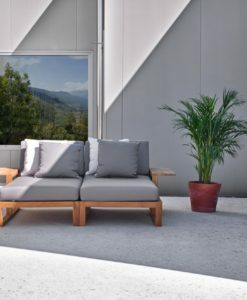 Modern hand woven aluminum teak love seat daybed is the latest in modern outdoor and indoor living trend. 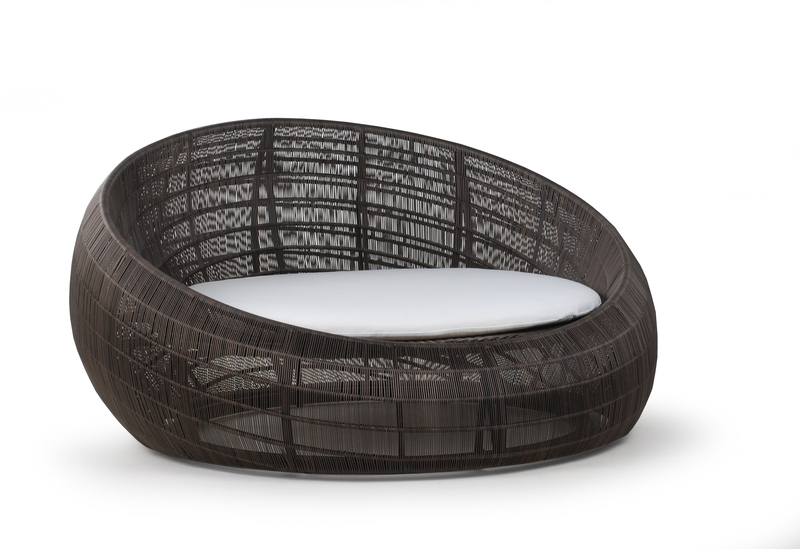 The Elana love seat & daybed is hand-woven with polyrod wicker, a 3mm round shaped synthetic wicker coiled around an aluminum frame. 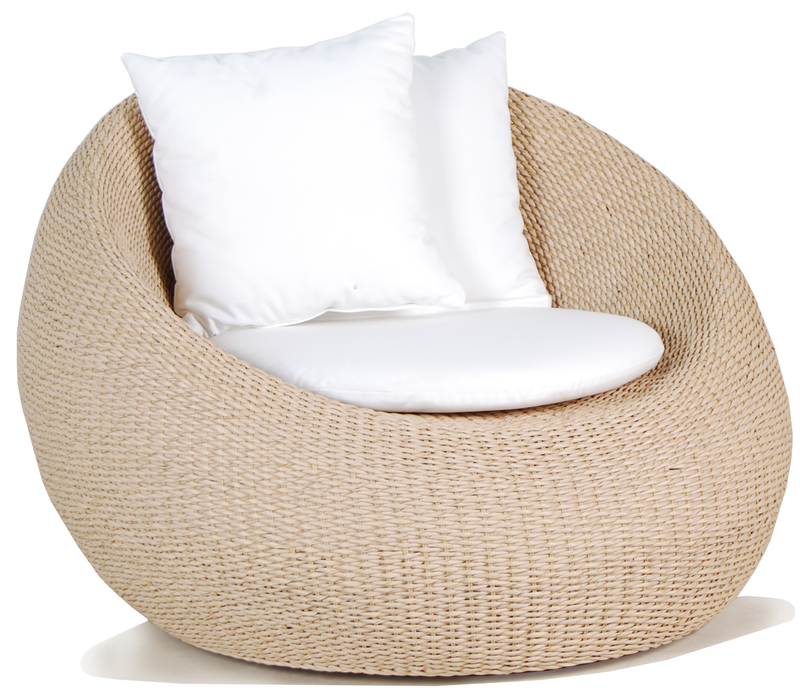 The result is an open weaving that creates a light and airy chair. 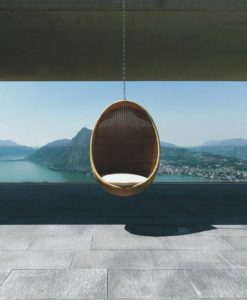 Suspended from the aluminum frame around it. 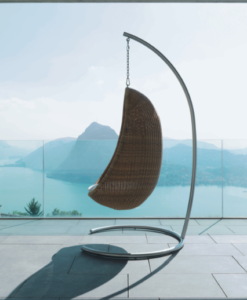 The seat stretches and absorbs the weight put on it and reverts back to its original form, providing for maximum comfort. 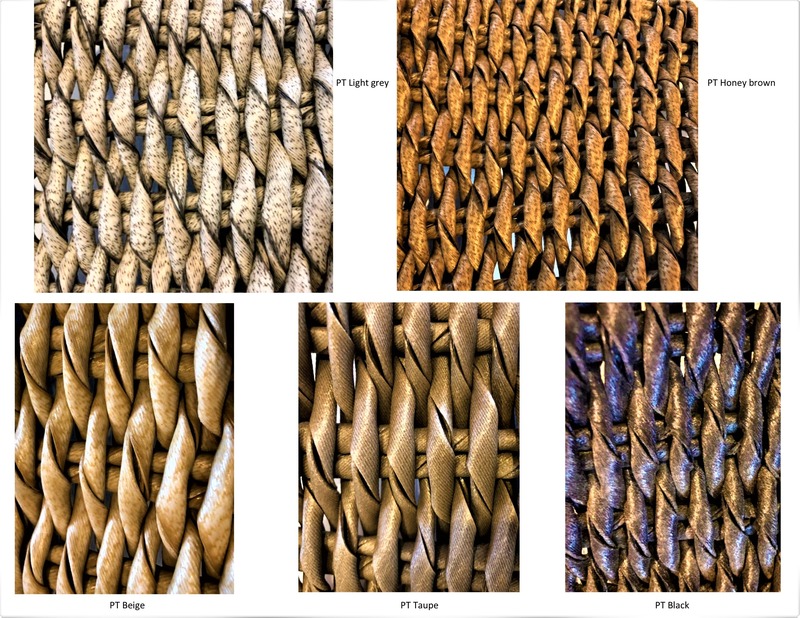 (PT1) Beige, that is a closed weaving. 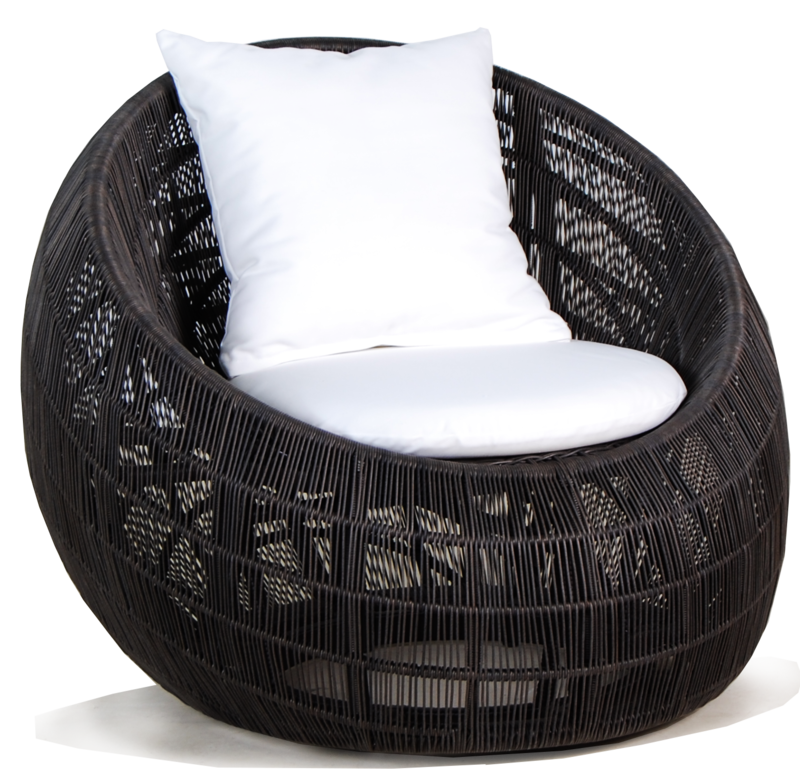 (PR3) Dark wicker with opening weaving. 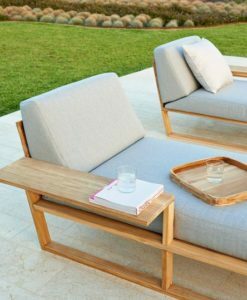 Quick dry foam & outdoor cushion, tempered glass and teak top available for the coffee tables.